Stacie Harvey, Assistant Manager at our Bury St. Edmunds travel agents, travelled to Dubai for four nights. Here are the highlights from her trip and a few recommendations for other planning a visit to this part of the world. We flew out from London Heathrow on the overnight Virgin Atlantic flight to Dubai. We were very lucky to be upgraded to Premium Economy on our outbound flight but flew home in economy. There was a good seat pitch in both, obviously Premium had more space, but I also found the economy seat to be good for the flight time of 7 hours. All classes have on-demand, in-flight, seat back entertainment with a choice of meal & drinks service. You could also chose to pay an additional £30.00 per person for an extra legroom seat in the economy cabin, which gives you a slightly larger seat pitch. This could be a better option for a taller person who doesn’t want to pay for the Premium Economy upgrade. The Royal Mirage is a stunning low-rise resort made up of 3 properties, with a pure white beach setting; offering a real taste of Arabian opulence. The resort is located approximately 30-40 minutes from Dubai Airport, with downtown Dubai reached in 30 minutes, so a great spot to explore the whole of the city. The hotel also offers a shuttle service to Aquaventure Water Park. All of the One & Only hotels offer half-board; the choice and standard of food is extremely high and is of a true 5 * experience. There are 49 rooms & suites which are all sea facing at the Residence and Spa. It would be best suited to couples wanting that extra bit of secluded luxury. Staying here you can enjoy all of the One & Only Royal Mirage resort facilities without being disturbed by the guests at its sister properties. The palace is a much bigger building with 231 rooms & suites that all have sea views. There is also the chance of upgrading to club level accommodation with private lounge access for afternoon tea & complimentary cocktails. The hotel has the largest pool of the resort, direct access to the beach and proves to be popular with families wanting 5-star Luxury in a smaller resort than the others in the area. The Arabian Court has sea facing 172 rooms & suites and was my favourite out of the three areas. You get a real feel for Arabia here; the character of the hotel is very welcoming and fitting for its location and the stunning arches and clever lighting make this a very special place to stay. The hotel also offers a fabulous roof-top terrace which is perfect for a relaxing evening under the stars after a hard day exploring Dubai. The Atlantis is a family’s paradise and is just 40 minutes from the airport and 30 minutes downtown Dubai. There are 1539 rooms and suites located in the hotel's separate towers; offering a different view of the Arabian Sea or the Palm. The hotel is also home to Dubai’s largest water park, Aquaventure, which is connected to the hotel and offers dolphin encounters, speed slides and hours of lazy and not so lazy rivers. It also has its own on-site fitness centre, with running track and gym, along with on-site dive centre. The Lost Chambers is also located in the hotel which is a collection of huge underwater displays with everything imaginable inside. There is an on-site night club called N Dulge which is one of Dubai’s hip hangouts and the place to be seen. All in all, it is a perfect hotel for any family, group or couple wanting everything at hand in one resort. And with 20 restaurants, bars & lounges, shops and it’s very own Atlantis Kids Club; it certainly offers this. In conclusion, the One & Only Royal Mirage has the advantage of being in a stunning location and I loved the space; the hotel was nearly full and didn’t feel at all crowded. The room sizes were amazing and I really enjoyed the traditional Arabian feel of the property. It would be great for travellers that want to be directly on the beach. Atlantis the Palm was a sure bet for families or younger guests wanting all the excitement of the water park, nightclub and shops. There is everything you could dream of all bundled up in Luxury; from its rooms to the public areas to its entertainment and restaurants. We boarded the catamaran from the jetty at the One & Only and headed around the coast, past the Burj Al Arab and finally over to the Atlantis the Palm. Here, we dropped anchor for a BBQ lunch on board, whilst enjoying a swim in the Arabian Sea. This excursion is a great option if you want a relaxing day during which you can enjoy the sun and sights of Dubai in an informal, friendly atmosphere. This trip was nothing like I have ever experienced before. The natural beauty of the desert is breath-taking and you have the option of an adrenaline ride or a slow gliding ride over the sand dunes towards the desert camp. I opted for the glide and this was perfect for anyone that may suffer from motion sickness. The other option is quite intense and very, very bumpy at times. 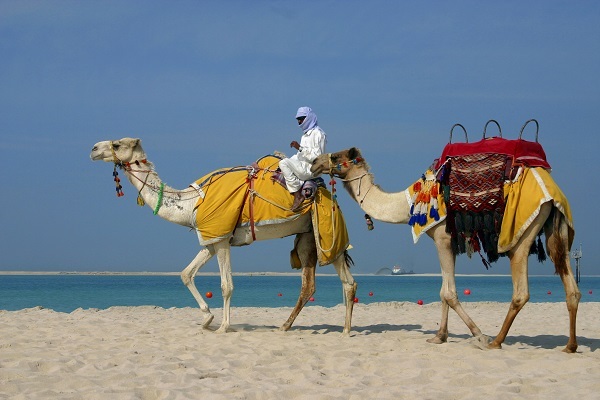 Once you reach the camp, you’re greeted by the option of a short camel ride or, for the more active, dune boarding. A few people in my group took part in the latter, but ended up getting very sandy! Once the sun sets, you settle into the tents for an Arabian BBQ with a belly dancer as entertainment. There’s also the chance to have a henna tattoo or try the local tradition of Shisha smoking. All in all, it was a great evening and a wonderful chance to experience the mysteries of the desert. There are too many and it’s hard to pinpoint them, but my ultimate highlight was the pure luxury of the hotels, their surroundings and the food! I also enjoyed the helicopter ride that we were lucky enough to take. Seeing Dubai from air proved even more breath-taking than looking from the ground up; showing how big the area is and how diverse the different landscapes are. I was, of course, expecting luxury, but I have never experienced such opulence; the wealth of the place is out of this world. Finally, I enjoyed how attractive Dubai is for families & groups of friends. I already thought that it would be great for couples, but it’s also such an amazing and exciting place for people of all ages. A stunning place that I can’t wait to return to! I wouldn’t change a thing about my experience to Dubai. It was such a perfect group with an amazing itinerary; experiencing such stunning surroundings. I would definitely recommend Dubai to all, as there is a piece of the city for everybody. Whether you’re a beach lover, a shop ‘til you drop kind of person, someone who wants to experience a little piece of local culture or a frequent traveller looking for a new place to get away from it all; the Arabian experience of Dubai has something to offer all tastes and budgets. 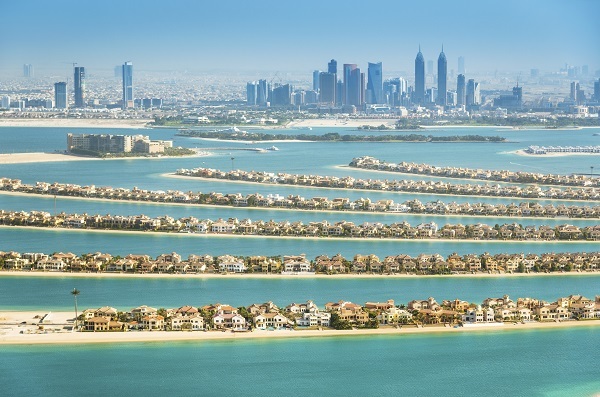 Dubai is mostly about 5-star luxury, but you can choose a slightly cheaper location on the creek or downtown, where there is a choice of mid-range properties available that allow you to explore and dine to all different budgets. I also wouldn’t hesitate to recommend a trip like this to families with young children. With Kidzania, Sega Republic (Dubai Mall), Aquaventure and Lost Chambers (Atlantis the Palm) there is plenty to excite those with young hearts and energetic legs. When eating out, it is possible to stick to a budget or go all out in the search for opulent cuisine. The options range from the food courts in shopping malls to local restaurants on the walk and the stunning 5-star hotel restaurants which we were so lucky to experience. We also had the chance to explore Dubai, via the Mission Possible Challenge. During this we were split into 5 groups and had to follow clues to get ourselves across Dubai; starting at the Armani Hotel at the Burj Khalifa and ending at the Atlantis the Palm. The challenge was great to get us to really look at Dubai and what it’s about; there is something for everybody whether you want the beach, city, shops with the added bonus of an abundance of excursions. 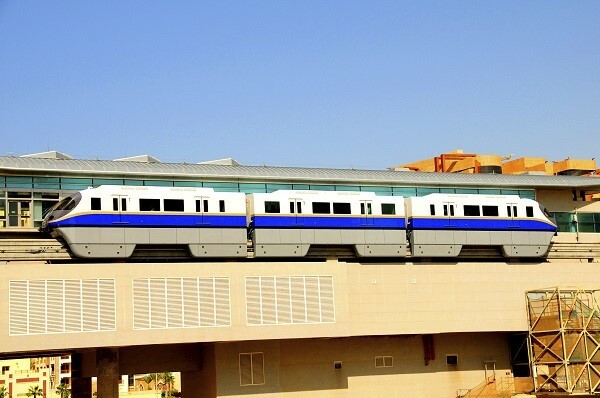 It was also great to use the different transport systems around the city such as the monorail, the dhows from the Souks, foot power which proves it’s so easy to get around. It’s such a great place with something to offer every type of traveller. Dubai is the perfect destination for the ultimate luxury holiday and we can help you to plan every detail of your trip. Our friendly travel consultants are on hand in our travel shops situated around East Anglia and on the south coast, or you can contact us online by filling in an enquiry form.